Access physical activity grades, report cards and other related documents from all Global Matrix events in which Japan has participated. Establishment of the evaluation system on physical activity and active play for Japanese children and youth. Increasing support in families for improving physical activity and health in children and youth. Development of appropriate approaches to decrease in sedentary behavior in children and youth. Chiaki Tanaka, Ph.D.Dr. Chiaki Tanaka was a member of Japanese National synchronized swimming team. She is an associate professor of health science in the Department of Integrated Sciences, College of Health and Welfare, J. F. Oberlin University, Tokyo, Japan. Her main area of research is in the objective measurement of physical activity and sedentary behavior, with a particular interest in examining patterns and determinants of change in physical activity and sedentary behavior. Dr. Tanaka’s other interests include the relationships between physical activity, sedentary behavior, physical fitness and morphology in children and how family environment influences the physical activity and sedentary behavior. She has also worked with the Institute of Health and Nutrition in Tokyo, Japan. "The Global Matrix 3.0 has been an incredible opportunity to collaborate with researchers and academics around the world. It has been a challenging and exciting experience that we hope will influence not only government policy but also how the public views physical activity in our children and adolescents. We believe that the comparisons with other countries will provide a great opportunity to learn from the successful efforts of other nations to promote active and healthy lifestyles among children and adolescents. After the success of Global Matrix 2.0, we made report cards for each of Japan’s 47 prefectures. The aim of these local report cards was to increase cooperation among researchers and academics and, ideally, to lead to an improvement in physical activity in children and adolescents across Japan. It was gratifying for me as a researcher to learn that that the overall grade of the objective evaluation on physical fitness for Japan was excellent (A) in the Global Matrix 3.0." - Chiaki Tanaka, Ph.D.
C Tanaka is with the Division of Integrated Sciences, J. F. Oberlin University, Tokyo, Japan. S Tanaka is with the Dept of Nutrition and Metabolism, National Institute of Health and Nutrition, National Institutes of Biomedical Innovation, Health and Nutrition, Tokyo, Japan. Inoue is with the Dept of Preventive Medicine and Public Health, Tokyo Medical University, Tokyo, Japan. Miyachi is with the Dept of Physical Activity Research, National Institute of Health and Nutrition, National Institutes of Biomedical Innovation, Health and Nutrition, Tokyo, Japan. Suzuki is with the Dept of Sports Science, Juntendo University, Tokyo, Japan. Abe is with Center for Community-Based Healthcare Research and Education (CoHRE), Shimane University, Shimane, Japan. Reilly is with the Physical Activity for Health Group, School of Psychological, Sciences and Health, University of Strathclyde, Glasgow, Scotland. C Tanaka (c-tanaka@obirin.ac.jp) is corresponding author. Introduction: The momentum to promote physical activity (PA) by various government agencies such as the Japan Sports Agency established in 2015, academic organizations, companies is increasing towards the Tokyo Olympic and Paralympic Games. The goal of the 2018 Japan Report Card on Physical Activity for Children and Youth is to assess and track levels of health behavior related to PA in Japanese children and youth, facilitators and barriers for PA, and related health outcomes. Methods: Nationally representative data were used to score the respective indicators. We used mainly 2 surveys: 1) Annual Report of National Survey on Physical Fitness, Athletic Performance, and Exercise Habits of the Japan Sports Agency using a questionnaire in children and adolescents; 2) Annual Report of Physical Fitness Survey of the Japan Sports Agency using a questionnaire and measuring physical fitness in children and adolescents. The key four health behaviors and outcomes (Organized Sport Participation, Active Transportation, Physical fitness and Weight status) were favorable. Sedentary Behavior received C- grade, while 2 indicators (Overall Physical Activity, and Active Play) could not be graded. In the Influences domain, Family Influence and Community were graded as C-, while other 3 indicators were favorable. Conclusions/recommendations: The 2018 Japan Report Card on Physical Activity for Children and Youth shows that Japanese children and youth have favorable levels of organized sport participation, active transportation to and from school, and physical fitness and weight status. Future nationally representative surveys on overall PA and active play are needed. Establishment of the evaluation system on physical activity and active play for Japanese children. Increasing support in families for improving physical activity in children and adolescences and health in adults. Support of environments for participations in organized sports, especially among girls. Support of environments for promotion of active transportation in pre-school children. "The Global Matrix 2.0 has been an incredible opportunity to collaborate with researchers and academics across Japan and from around the world. It has been a challenging and exciting experience that I hope will influence not only government policy but also how the public views physical activity in our children and adolescents. However, working on the global report card has made it clear that Japan doesn’t have enough data on physical activity for children and adolescents to grade overall physical activity levels. This has been quite disappointing/frustrating but has raised some interesting questions and inspired our team to discuss how to best evaluate physical activity in Japan. For example, could sum of exercise and active play time outside of physical education classes be used in future report cards to evaluate overall physical activity levels? Evaluation methods used by other countries in Matrix 2.0 can also provide examples on effective cross-national ways to evaluate physical activity for the Japanese government and researchers in the field. The report card also inspired us to start planning a report card for each of Japan’s 47 prefectures increasing cooperation among researchers and academics and hopefully leading to an improvement in physical activity in children and adolescents across Japan." 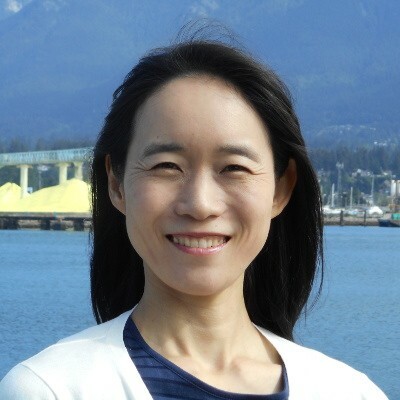 - Chiaki Tanaka, Ph.D.
Background: The Report Card on Physical Activity for Children and Youth aims to consolidate existing evidence, encourage greater evidence-informed physical activity, and improve surveillance of physical activity. Methods: The Japan report card followed the methodology of the Canadian and Scottish report cards, but was adapted to reflect the Japanese context. Nationally representative data were used to score each of the respective indicators. Results: The 2016 Japan Report Card on Physical Activity for Children and Youth consists of Health Behaviors and Outcomes (7 indicators); and Influences on Health Behaviors (4 indicators). Three Health Behaviors and Outcomes received C grades (Participation in Sport; Sedentary Behavior; Recreational Screen Time; Physical Fitness), while two indicators could not be graded (Overall Physical Activity, and Active Play). The indicators Active Transportation (B) and Weight Status were favorable (A). In the Influences domain, Family Influence and Community and the Built Environment were graded as D, while the School & Childcare Settings and the Government Strategies and Investments were favorable (B). Conclusions: The Japan report card illustrated some favorable health behaviors, health outcomes, and influences. There is a need for more evidence especially on overall physical activity levels, active play, and community and the built environment.